This entry was contributed by Zanne Tarlow as part of my “Into Nature” guest blog series celebrating the reissue of my book, The Ancient One. I invite you to submit your own nature inspirations for a chance to win signed copies of the new edition of The Ancient One and for your entry to be featured here on my blog! I’ve been fascinated by animals for as long as I can remember. For a few years, I desperately wanted to be a vet. Between a crummy biology teacher and a lack of love for science, it didn’t quite work out. I am, however, a dog trainer. Perhaps the most clear ties I have to my love of nature is through my love of mythology. After all, what is mythology but an explanation of how the world works? It’s quite romantic to believe the seasons turn because of an illicit love affair between gods and a heartbroken mother. Of course, science shouldn’t be diminished. The scientific reality is often as mesmerizing as the stories of tricksters and weavers. 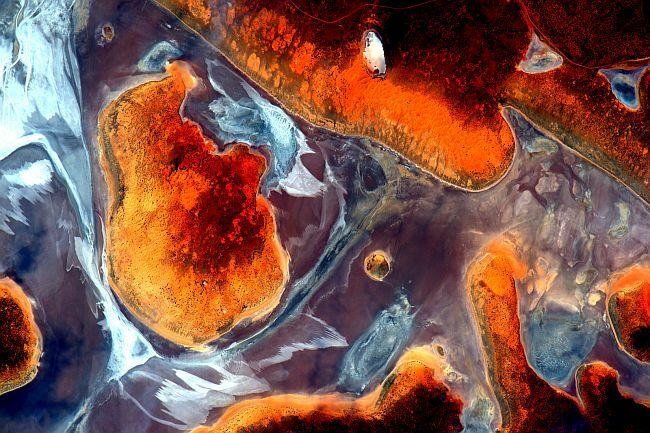 To see Scott Kelly’s photographs of Earth’s landscapes from such a perspective left me as inspired as the myriad creation myths. While I live in an suburban/urban area, I’m lucky enough to be in Austin, where there is a wide variety of gardens, trails, and protected parks. The shelter I volunteer at is right across from a lakeside trail, and some days I take a dog down to the water so I can enjoy the view with canine company who needs the outing more than I do. Personally, the enchantment of nature goes beyond lakes and trees, oceans and sunsets. It’s the curiosity of microscopic organisms. It’s recognizing how big the world beyond our world is. It’s appreciating the domestic canine as much as the tropical bird. It’s marveling at science and stories alike, and wondering at everything yet to be discovered in both.